What do you *really* know about the cause and treatment about your dog’s ear infections? 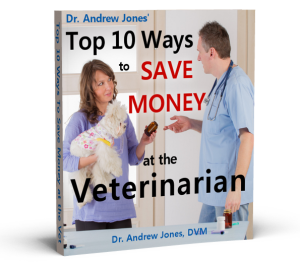 Dr Jones shares with you the TOP 5 Dog Ear Infection Myths, along with his best remedies for How to Treat these at home. Do these remedies work for chronic ear infections in cats too? I have a 3yr old cat (tortoise shell) who gets ear infections every 4-6 months. She’s had Bacterial, yeast as result of antibiotic, and then inflamed itchy ears treated with EIT for two weeks. (Her most common treatment). We suspect environmental allergies but she is on Feline D/D food too. She is also using the Advantage multi every month so no mites. She is deaf now as a result if the scar tissue building up. The vet bills are adding up and I was curious about homeopathic remedies to help counteract some of this. She is a strictly indoor cat who lives in Houston. We do have high humidity and high pollen seasons. Just FYI. Hi. Just wanted to say thankyou so much, my dog bella has been suffering from ear infections for ever took her to the vet..bought the meds the vet recommended didnt work.she has had non stop infections for years.so I decided to look to the internet for help and found ur channel.I’m so glad I did. Not only did I get rid of her infection..she hasnt had one since.i have 5 dogs that I love like my kids. I love ur channel wish more vets where like u…a true animal lover!